Top selling products include RhinoTop concrete coating, Enviroseal penetrating traffic grade sealant, Acrysheen clear UV resistant sealer, Canyon Tone Stains for masonry, roof tiles, block wall and pavers, Canyon Tone Clear concrete treatments, decorative concrete stains, wet-look clear sealants, clear sealants for brick, Rhino Top textured anti-skid concrete and asphalt coating and more. We also have cement and mortar dyes that incorporate the highest quality dry pigments. Our product line includes Solomon Color pigments designed for ready mix, concrete, mortar, and stucco applications. Our concrete stains include penetrating acid base stains that work by chemically reacting with the cement on the surface. They are available in many popular colors. Acid concrete stains create a beautiful antiqued effect and can be used over integral colors for a unique decorative treatment. Epoxy Floor Coatings: Chemical resistant, ESD rated, very durable coatings for food processing, industrial, chemical storage, garage floors, airplane hangers, basements, etc. 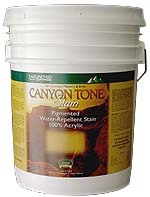 CANYON TONE STAIN for vertical or horizontal concrete walls, walkways, roof tile and masonry surfaces features a 10 year warranty and corrects natural color imperfections in the substrate by imparting permanent color uniformity plus water-repellency, without disturbing the natural texture of the substrate. 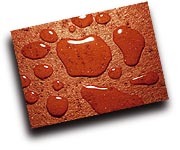 CANYON TONE STAIN locks integrally into the surface pores of the substrate as a result of its low viscosity and microscopic penetration qualities. It allows moisture vapor to “breathe” from the building interior while providing excellent water-repellency on the exterior through the use of hydrophobic resins. CANYON TONE STAIN can be applied to “hot” concrete surfaces with high pH levels without effecting the overall performance or finish characteristics. Add Acrysheen over the top for a beautiful semi-gloss yet dirt resistant coating. ACRYSHEEN semi-gloss concrete, block wall, paver, flagstone, brick and masonry sealer is a water-based epoxy penetrating sealer designed to produce a clear, semi-gloss surface sheen and excellent resistance to dirt / graffiti. It is manufactured from non-yellowing, 100% acrylic resins to form a durable finish that provides long term water repellency, dirt and graffiti resistance, and weather protection. Can be used over Rhino-Top, In-Stone, Canyon Tone, most paints, Flagstone, stone, brick, masonry and more. CANYON TONE CLEAR non-gloss invisible horizontal or vertical concrete and masonry sealer is a silicone emulsion with reactive silane (26%), is a deep penetrating concrete/masonry sealer and water-repellent treatment. CANYON TONE CLEAR is designed to provide clear non-gloss transparent protection over above grade concrete, masonry, aggregate, brick and stucco surfaces. The silane penetrates deeply into the substrate, chemically locking into the concrete or masonry matrix for permanent moisture, chemical and salt protection. The silicone emulsion bonds tightly to the surface for optimum water-repellency and ability to bead. CANYON TONE CLEAR is effective against the harmful effects of water, de-icing chemicals, chloride-ion intrusion, freeze/thaw exposure, spalling, radon gas, airborne pollution and acid rain. It is ideal for use on building exteriors, parking garage floors and ramps, walkways and decks, and other areas where a clear, flat non-glossy no sheen, non-yellowing protective sealer is required. 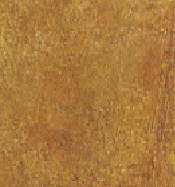 Can also be used OVER In-Stone, Canyon Tone Stain, Flagstone or concrete stains to protect surfaces and extend life. CLEAR-SEAL HIGH SOLIDS: A wet-look high gloss sealant. Exterior grade, UV resistant. Resistant to oil and most chemicals (suitable around the pool). The very glossy finish brightens the natural coloration of aggregates, tone, and stained concrete, enhancing their architectural and esthetic qualities with a lustrous seal and durable finish. RHINO-Top athletic court and pool deck coating. This tintable non-skid coating is an outstanding and easy to use product for coating concrete exposed to water and over blacktop / asphalt surfaces (RHINO TOP WILL NOT WATERPROOF BALCONIES OR WOOD SURFACES). It provides a beautiful long lasting low-skid surface. Rhino Top is recommended for sport surfaces, tennis courts, athletic courts, around pools, for slippery walkways and where cool-deck might be used (see cool-deck restoration example). It can be applied from start to finish in just ONE DAY. Add Acrysheen over the top for a beautiful semi-gloss yet dirt resistant coating (slightly reduces anti-skid properties). We have a variety of decorative systems for concrete floors and walkways. They include decorative stains, acid base stains that work by chemically reacting with the cement on the surface. They are available in many popular colors. Acid concrete floor stains create a beautiful antiqued natural color variation effect and can be used over integral colors for a unique decorative treatment. Concrete Stain is a ready-to-use product when you receive it. Read technical / application notes and MSDS sheet before using. Pour stain into an all-plastic sprayer. Spray stain onto the surface by overlapping your spray pattern to keep a wet edge. For small areas an acid resistant paintbrush can be used or sponge / gloves. Allow the stain to dry before applying the second coat. Allow a second coat to dry overnight before washing the surface. Seal if desired using CANYON TONE CLEAR flat or ACRYSHEEN glossy surface sealant. As with any decorative concrete project, the surface needs to be protected. 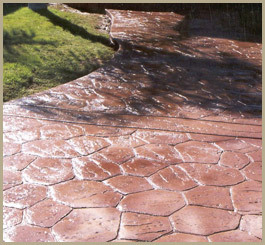 Seal concrete after it is completely dry with a decorative sealer of your choice. After sealing interior floors, use a professional grade floor wax as a sacrificial sealer that can be reapplied and mechanically polished if needed to extend finish life. Acrysheen provides an excellent semi-gloss stain and dirt resistant finish which resists light traffic. Makes dull flagstone beautiful! Highlights the natural colors and texture. UV resistant. Apply two coats for higher gloss and added protection.